As seen in Harper's Bazaar magazine (November 2009 issue, p158). A floral, gourmand fragrance with asubtle blend of fruity notes (mandarin orange and litchi), combined with tasty bitter almond and dark chocolate, and accented with sensual Europeanflourishes of Bulgarian rose and violet notes. 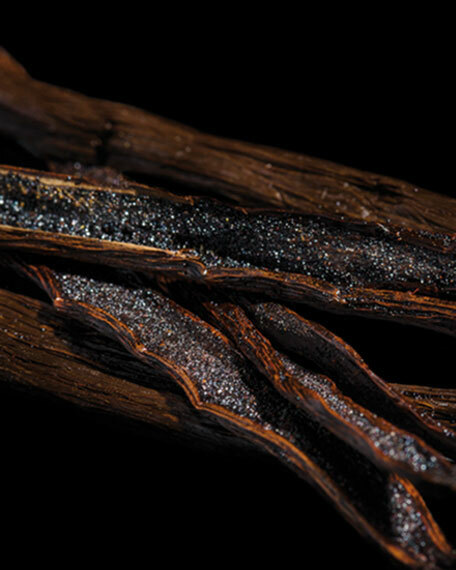 The vanilla pod is faceted with woody cedar and balsamic tonka bean and notes of transparent white musk. 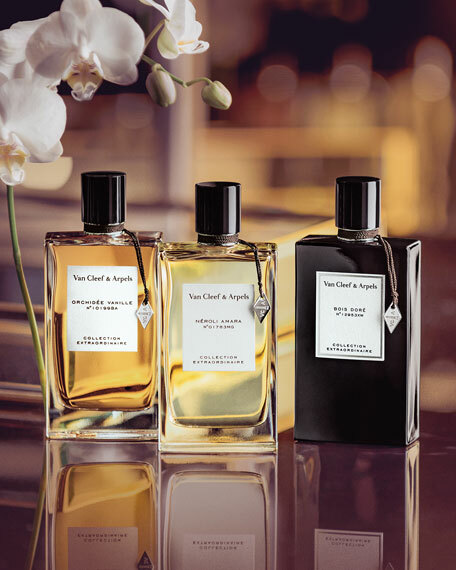 Van Cleef & Arpels, the world-renowned Paris jeweler, pays tribute to nature with a range of magnificent fragrant compositions inspired by its LesJardins ("The Gardens") jewelry range. 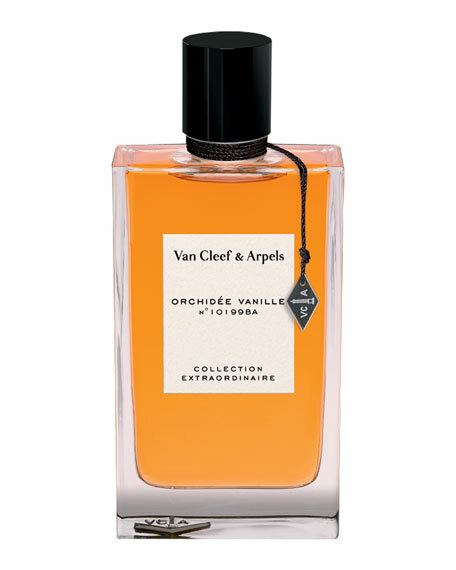 Created with the finest raw materials in the great tradition of French luxury perfumery, Van Cleef & Arpels debuts the Collection Extraordinaire with six scents, each given a formulation number by the master perfumer and presented in a hallmarked and embossed presentation gift box.